Protect our waterways: Use phosphate free laundry and dish washing detergents! ​The gorgeous scenery of North Carolina, from the coast to the mountains, attracts millions of tourists each year and is made possible by our tremendous biological diversity, one of the highest in the country. For that and many other reasons, we work to secure our native plants species. Let’s not let this paradise slip away from us. You can help keep North Carolina proud of its natural heritage. Plant native plant species grown from seed in your home garden. SOURCES Note: The NC Native Plant Society lists nurseries that do not sell invasive species and do not dig from the wild. What Is An Endangered Plant? "Endangered species" means any species of plant whose continued existence as a viable component of the State's flora is determined to be in jeopardy by the Plant Conservation Board; also, any species of plant determined to be an "endangered species" pursuant to the Federal Endangered Species Act. "Threatened species" means any resident species of plant which is likely to become an endangered species within the foreseeable future throughout all or a significant portion of its range, or one that is designated as threatened by the Federal Fish and Wildlife Service. See: http://www.ncagr.gov/plantindustry/plant/plantconserve/Laws.htm This url leads to the NC Plant Conservation Act. “Special Concern-Vulnerable” means any species of plant whose populations are declining to such an extent that they warrant observation and attention to prevent them from becoming threatened or endangered. Any species of plant in North Carolina that is determined to be Endangered at the Federal level is automatically placed on the NC Protected Plants list. Examples are Echinacea laevigata, Smooth Coneflower, and Geum radiatum, Spreading Avens. There are species at risk in North Carolina that may have healthy populations in other states. Examples include Baptisia australis var. aberrans, Prairie Blue Wild Indigo and Rubus dalibarda, Robin Runaway. On this page we will periodically list articles on issues of plant and land conservation and restoration, specific plants, climate change and more. Articles may be available directly, or we will post a link. If you have a suggestion, or have written an article that you would like to have posted, contact us. ﻿﻿Turn off a few lights. We've forgotten how to enjoy breaking morns and the gloaming! At the least, wait to run errands in the car until you have multiple errands. Call a neighbor and combine errand running. Turn off the TV and read (see Books page!). Reduce the grass in your yard - grow native Carex and other species that don't need regular mowing. Aim for using a push mower. Recycle - and quit using plastic bottles. Use phosphate free detergents (laundry and dish washing). 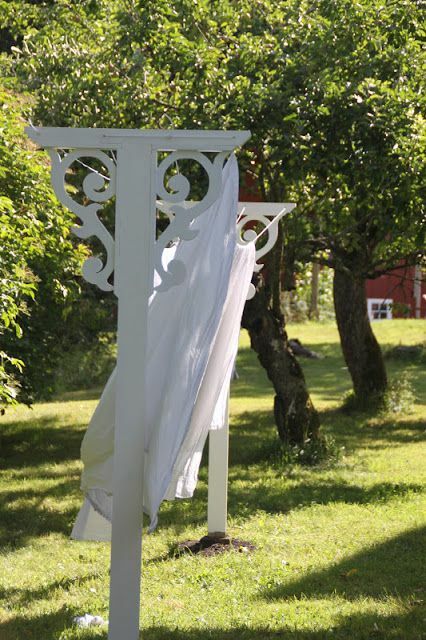 Hang your clothes outside to dry. Turn UP the air conditioner by 5 degrees. Turn DOWN the heat by 5 degrees - wear a sweater, knit an afghan. SEND US YOUR SUGGESTIONS FOR SAVING ENERGY AND REDUCING AIR, WATER, AND LAND POLLUTION. intervention under conditions of open-ended and rapid change. Stefano Canessa, GurutzetaGuillera-Arroita, Jose J. Lahoz-Monfort, Darren M.
will change a decision. Our aim is to facilitate the application of VoI by managers who are not familiar with decision-analytic principles and notation, by increasing the technical accessibility of the tool. 2. Calculating the VoI requires explicit formulation ofmanagement objectives and actions.Uncertainty must be clearly structured and its effects on management outcomes evaluated. We present two measures of the VoI. The expected value of perfect information is a calculation of the expected improvement inmanagement outcomes that would result fromaccess to perfect knowledge. The expected value of sample information calculates the improvement in outcomes expected by collecting a given sample of new data. 3. We guide readers through the calculation of VoI using two case studies: (i) testing for disease when managing a frog species and (ii) learning about demographic rates for the reintroduction of an endangered turtle.We illustrate the use of Bayesian updating to incorporate new information. 4. The VoI depends on our current knowledge, the quality of the information collected and the expected outcomes of the available management actions. Collecting information can require significant investments of resources;VoI analysis assists managers in deciding whether these investments are justified. How successful are plant species reintroductions? the latter will require improved re-vegetation techniques. Friends of Plant Conservation, Inc.
Friends of Plant Conservation, Inc. is a 501(c)(3) nonprofit tax exempt organization under Internal Revenue Service ruling. Financial reports are available on request. Please use the contact form for our latest Annual Report-no charge if emailed. A small charge for printed copy.